Mickey is on an exciting adventure to find the lost treasure of Maroon. Help Mickey reach the lost treasure of Maroon. Make sure he doesn't hurt himself! You can activate some objects by clicking on them. Some objects must be dragged and dropped. Good luck! Use your mouse to play and help Mickey find the treasure! If you want to play Micky Mouse In The Lost Treasure Of Maroon games online you have come to the right place! 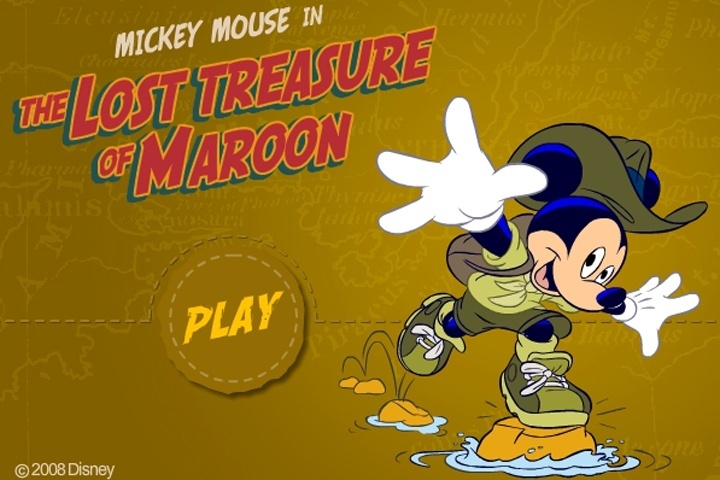 GamesLoon adds new Micky Mouse In The Lost Treasure Of Maroon games every week. This is your game portal where you can find the biggest collection of free Micky Mouse In The Lost Treasure Of Maroon games online. Do not forget to rate our Micky Mouse In The Lost Treasure Of Maroon free online games while playing!